Christian was hired as the volunteer manager for a small hospital. After spending ten years as a human resources generalist, he wanted to utilize his skills while working with folks who wanted to give back. Every volunteer manager has their own unique style of managing volunteers. Some are gentle and kind and encourage volunteers with praise and genuine caring. Some are a combination of inspiration and a perceived expectation of excellence. Some are masterful negotiators and visionaries. Some are light-hearted and fun, others are serious and meaningful. Most are combinations of all of the above. Few of us can be authoritarians or dictators, at least not for long. What Christian was experiencing is the unraveling of the management style instituted by his predecessor. He stepped into a role that was not his style and so the volunteers, used to Janice’s management, were chafing at her absence. It wasn’t so much a rebuff of the new leadership as it was missing the old leadership. Christian’s experience went beyond taking over a job from a popular coordinator. He was unknowingly walking into more than a job, he was walking into a cult of personality. Managing volunteers is challenging enough without having to replace someone who has created a cult of personality and Christian, no matter what he did to win the volunteers over, was just not Janice. Stepping into anyone’s role is hard but stepping into a status quo that you cannot duplicate is incredibly challenging. As volunteer managers, we walk a fine line between being professional and being involved. We sometimes utilize whatever skill works to fill volunteer requests. We often become very comfortable with our volunteers and develop strong relationships with them. If I leave tomorrow, will my replacement find all the systems in place they need to succeed? If I leave tomorrow, will my replacement be able to continue the calendar that I have set up for volunteer meetings, events, training’s, educational in services etc? If I leave tomorrow, will my replacement find the volunteers welcoming or will he find hostility because the volunteers are loyal to me instead of the mission? If I leave tomorrow, will my replacement find that boundaries have been consistently crossed with volunteers, hence making her work life impossible? If I leave tomorrow, will my replacement have a list of currently active, currently inactive and also former volunteers? If I leave tomorrow, will my replacement walk into utter chaos or find a smoothly run department? Ahhhh, if we can occasionally look critically at our work with the eye of our potential replacement, we might just discover some things that need our attention. 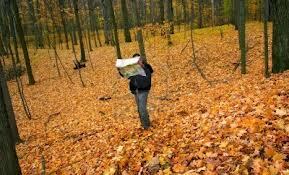 We might just see the forest instead of those pesky daily, demanding trees that get in the way. And if a professionally run environment is better for our potential replacement in case we happen to leave, then isn’t a professionally run environment better for our own health and well-being? Ah Meridian, it’s that ‘line in the sand’ again – knowing your professional boundaries. Janice may have been exposing her own neediness, something we don’t look at too often though, I encounter the all-things-to-all-people syndrome often enough. That succession-planning set of questions is the way to avoid ‘over-involvement’, and burnout too! I have had a similar experience when managing an organisation’s numerous volunteer sites. 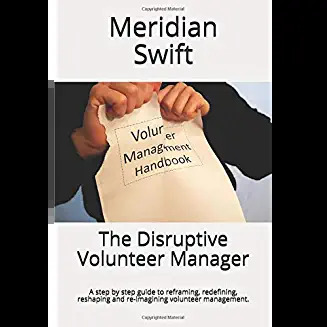 One coordinator was very defensive about changes being made to the corporate volunteer management system and I eventually discovered she was being led by the volunteers rather than the other way around. Similar story, she was their friend but had a select group who she regularly socialised with. To cut a long story short, there came a time when the coordinator’s contract was not renewed and ‘her’ volunteers rebelled. We persevered with our direction but managed the change as best we could through dialogue and discussion. however we made it clear that volunteers who were not happy to support our cause in the way we decided should leave. Out of 90 volunteers about half a dozen left and once they did things started improving. Volunteers are essential, but none of us are indispensable. Sometimes volunteers forget that. Hi Sue and thanks! Your aptly put, “all-things-to-all-people syndrome” is something volunteer managers struggle with. Will the volunteer keep coming back because the work is meaningful, or because I, the volunteer manager keep the volunteer’s dog while she is on vacation? If a meaningful volunteer experience truly helping others is not enough to keep a volunteer, then what is? Oh, my God. This is exactly what I dealt with–exactly!–when I stepped into my current job three years ago. I’m so glad to know it’s not a unique situation. The manager before me was an extreme extrovert, and I was expected to be a “party girl” and a wild, out-there social butterfly, and I’m just not. On top of it, the office was in utter chaos and I was under extreme pressure to both organize everything and create a usable system, and run around being everyone’s fun best friend, nursemaid, confident, social worker, and dinner guest. It was overwhelming to the point that I almost quit numerous times. I never wanted the volunteers to be there because they liked me–I wanted them to be there because they were connected to the mission. I know that my introverted personality was a huge disappointment to a lot of volunteers, but most of them stayed, and hopefully they recognize that I’m loyal, kind and caring in my own way, even though I don’t run around chattering and throwing parties all day. Wow, Kristen, I can’t even begin to imagine what you went through. Even good change is hard for volunteers who are used to one thing, but change after another management style is brutal. When volunteers are loyal to a person (and believe me, this is not rare), then the mission becomes secondary. 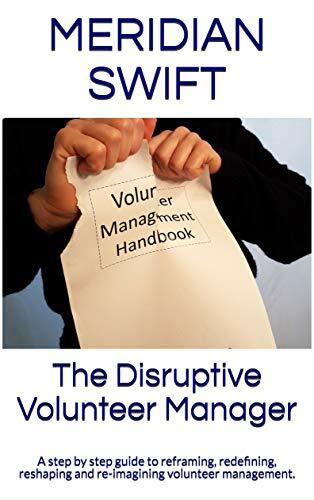 And it’s so easy for people to say, “Well, if the volunteers are not here for the right reason, then, get rid of them,” because the speaker does not have to deal with the fallout and the recruitment of new volunteers. On the surface, the rumblings of the volunteers who miss parties can sound like a cacophony of unhappiness with your style, but really it’s a purge of misguided loyalties. So, get it all out there folks and let’s get to work focusing on the joy (not silly happiness) of helping others. I would venture a guess that your volunteers are strengthening their bonds to the fulfillment and meaning in volunteering. Wow, again, you have some amazing strength and resiliency and if I were your volunteer, I’d be fiercely loyal to your mission with your guidance.